Mirrors will always make a space appear larger—this is a stylist's best-kept secret. In a bedroom or a closet, they will also make getting ready in the morning a cinch—just test out your favorite outfits before an important meeting, or fix an awkward boot tuck before heading out the door. There are a million reasons why you need a full-length mirror in the space you get ready in the morning. 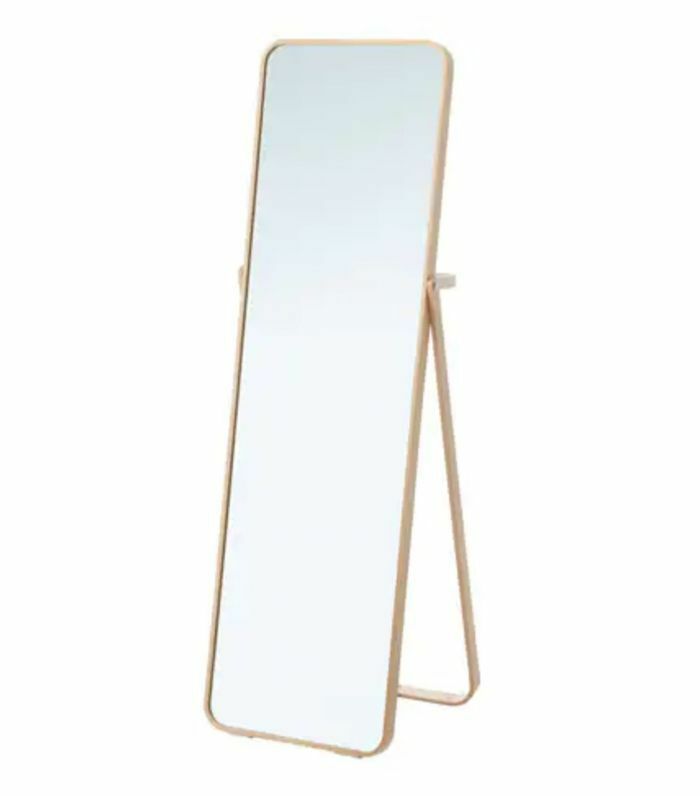 But while most of us reach for large leaning mirrors or even mirrors that hang on a wall, let us make the case for another option: the standing mirror. 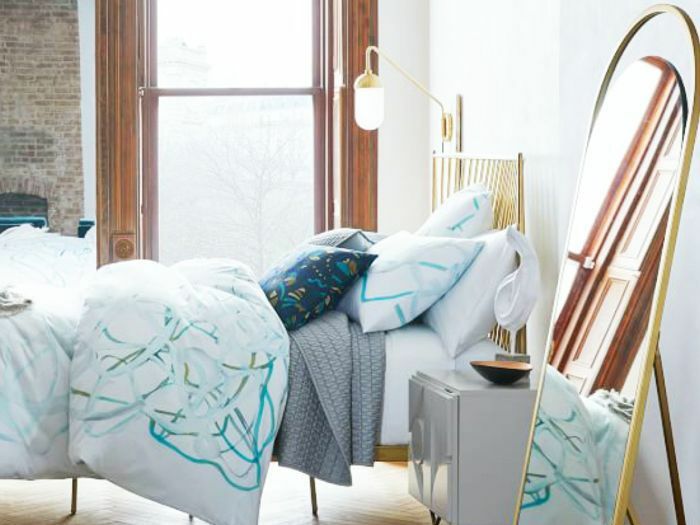 Unlike leaning mirrors, which take up space without really providing extra functionality, standing mirrors routinely play double duty in a bedroom: serving as extra storage, acting as a sculptural accent, or even filling out an awkward empty corner and making a space appear much bigger than it is. In fact, many retailers are now selling standing mirrors with hidden storage in the back, making it extra easy to prepare and plan the next day's outfit or hide a few often used accessories. If you can spare the extra few inches, take a look at these clever and showstopping standing mirrors. 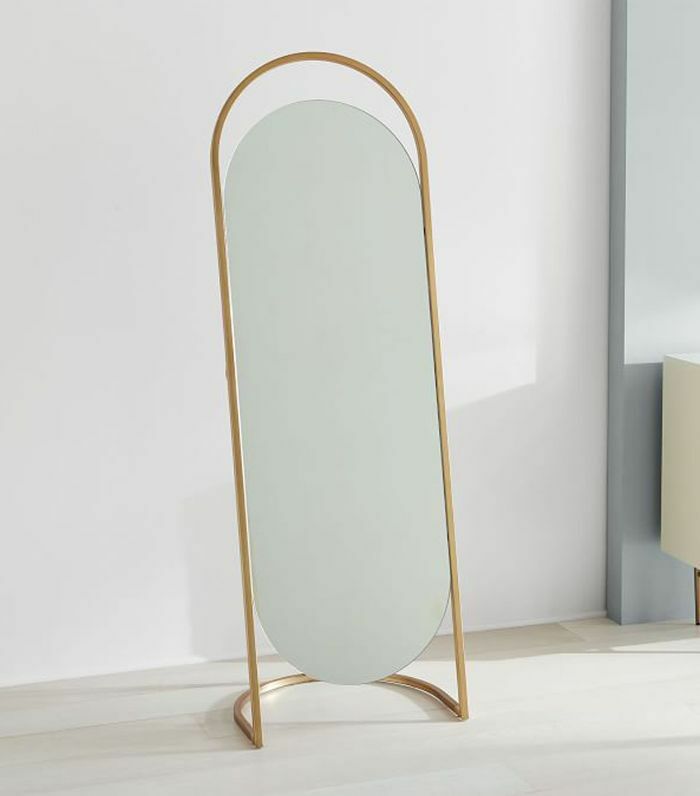 This chic rounded brass standing mirror from West Elm is a work of art in itself. Add it to your space for instant elegance. 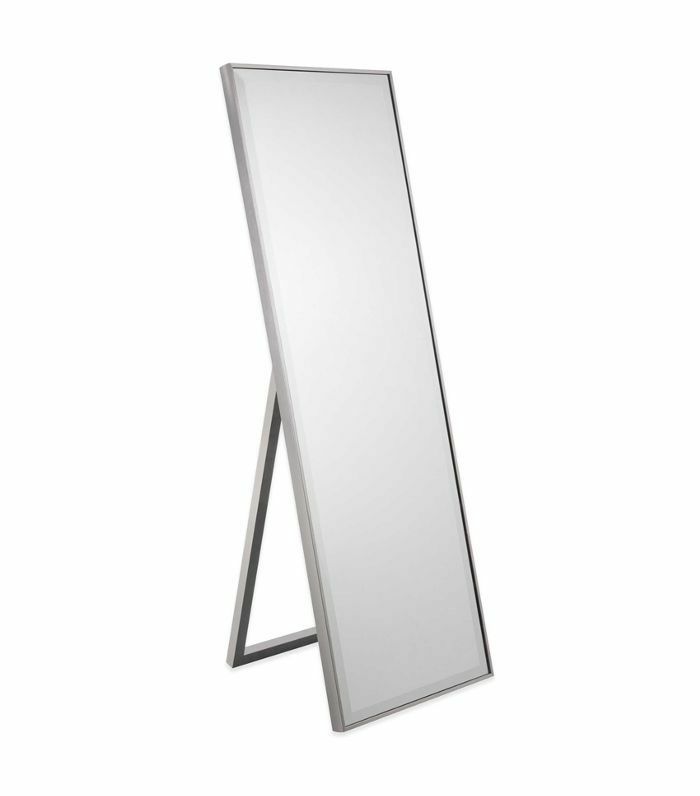 A hidden rail in the back of this standing mirror makes it easy to hang tomorrow's outfit to plan your outfits easily. 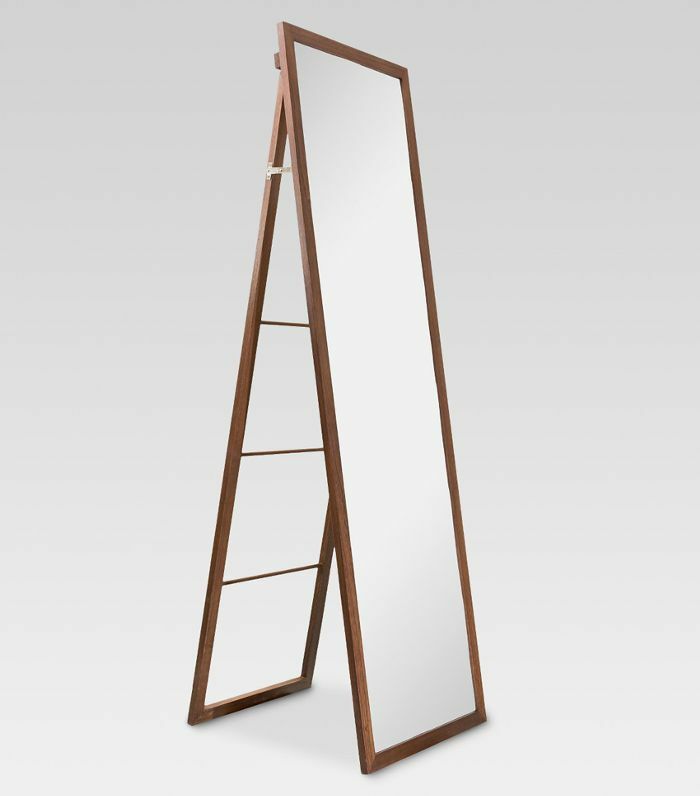 This clever storage standing mirror doubles as a small wardrobe on which you can store anything from coats to shoes and small accessories. 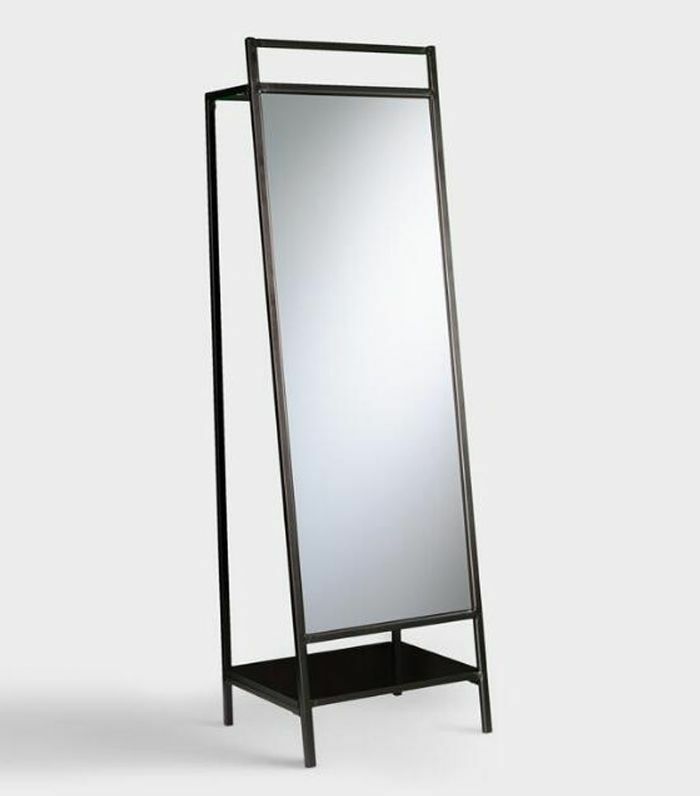 Add this pipe standing mirror to your small apartment to make it appear larger while giving it a clean industrial vibe. 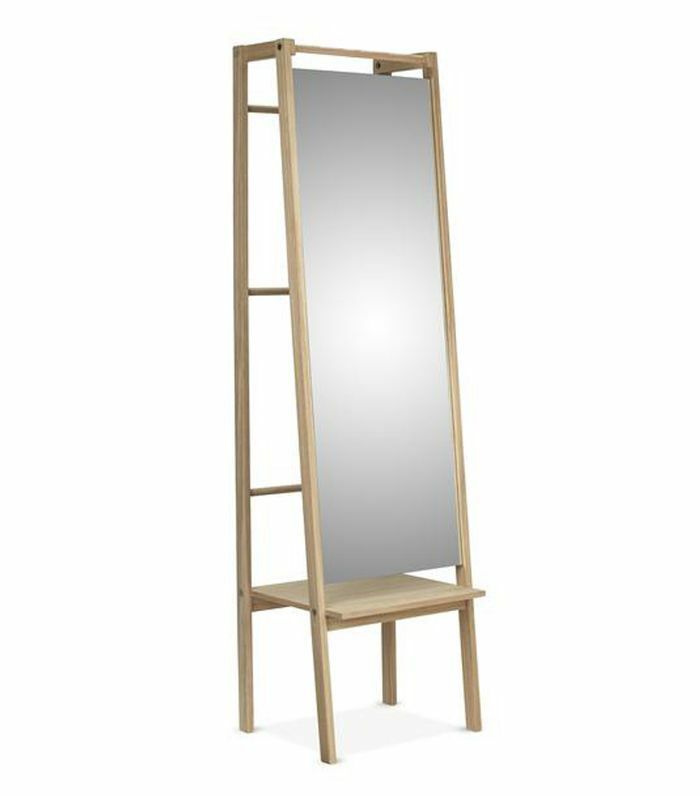 Add this IKEA standing mirror to your bedroom for added hidden storage. The mirror has hooks and a rail in the back so you can prep tomorrow's outfit in advance. 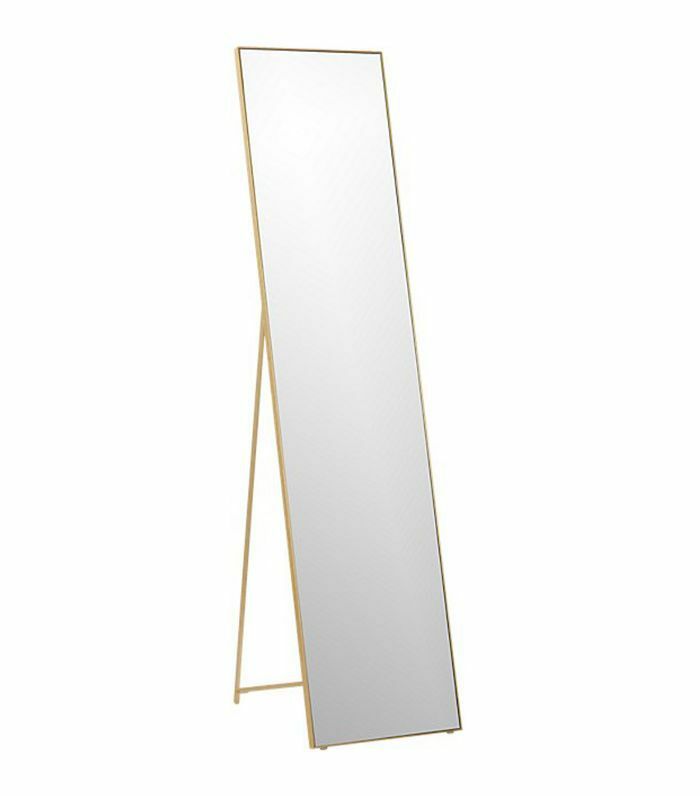 Add this sleek brass mirror to a corner of your room for an elegant fashion-forward statement. 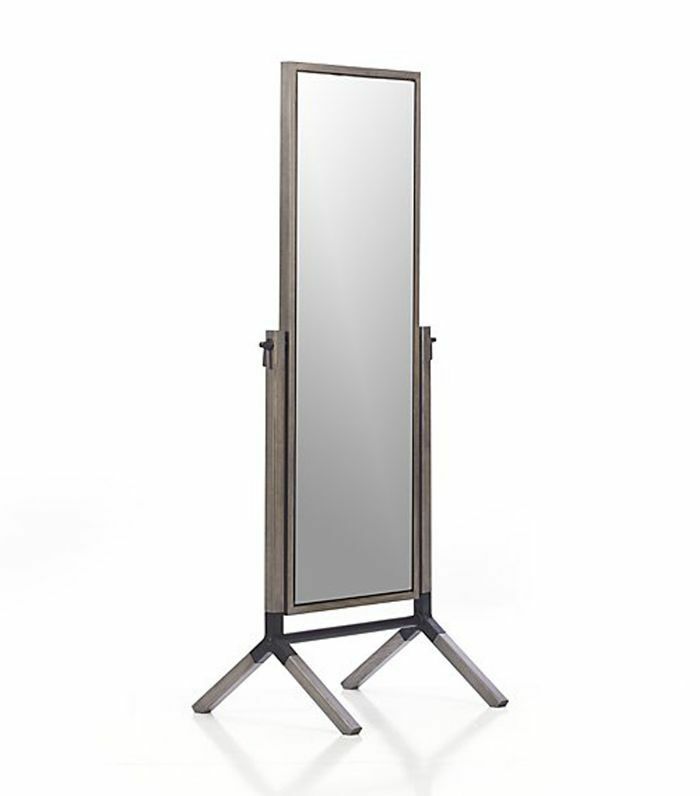 This clever standing mirror and organizer from World Market has hidden space to store extra clothing, shoes, and more. This futuristic looking standing mirror doubles as a valet stand, with compartments to hold anything from jewelry to sunglasses. 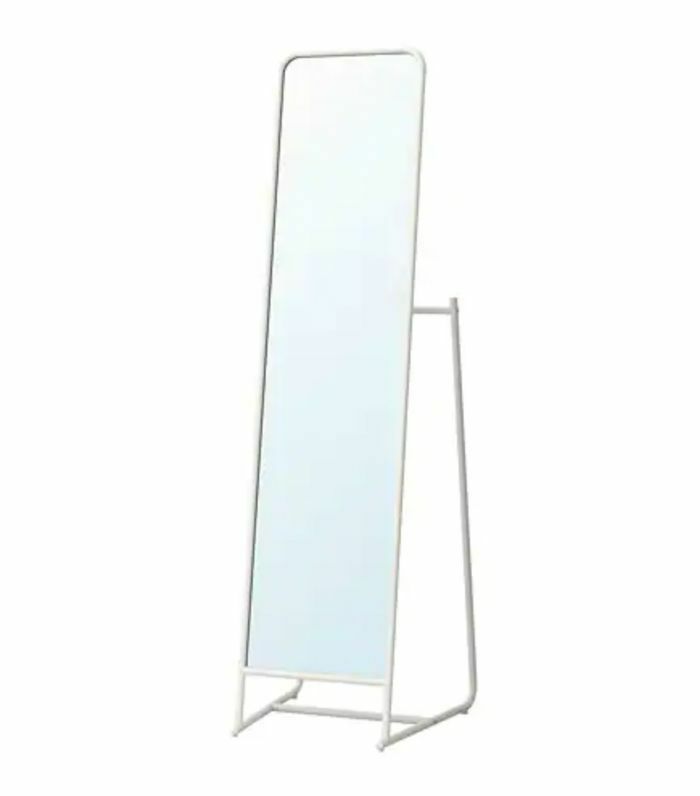 We love the rounded edges on this CB2 standing mirror. Try adding it to a large empty bedroom corner to make it appear bigger. 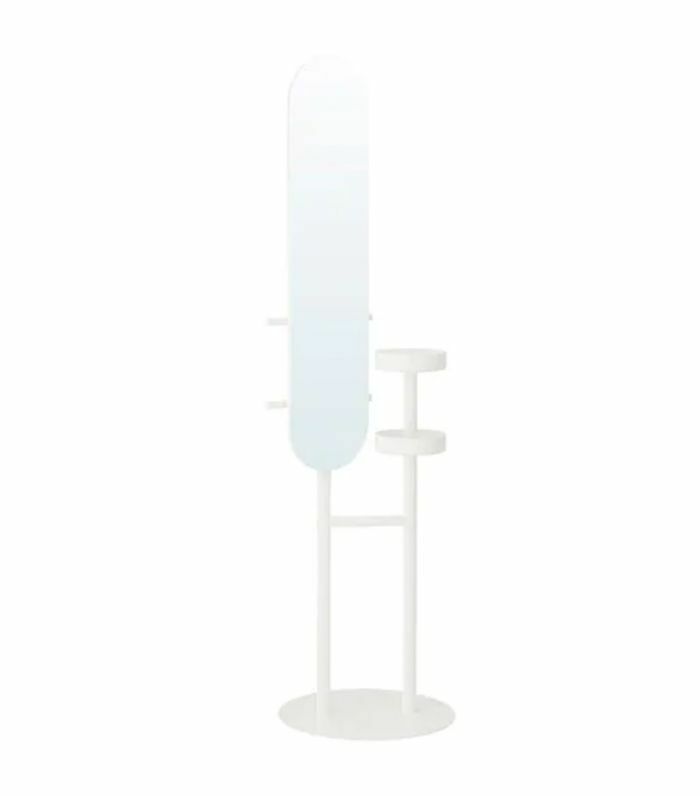 This clever affordable standing mirror from Target doubles as hidden storage. Just hang throws, scarves or bags on the ladder behind the mirror. 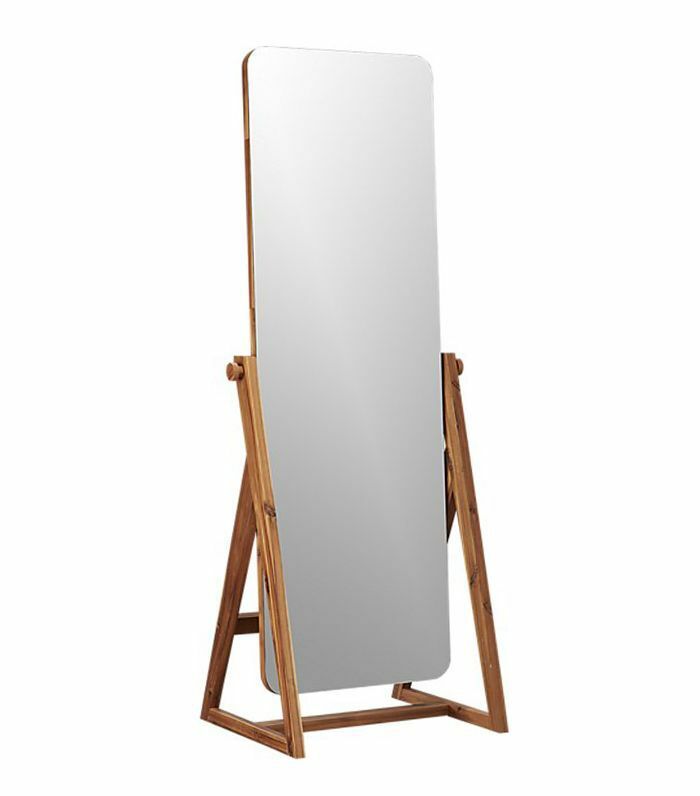 We love that this full-length mirror by Crate and Barrel stands upright as opposed to leaning on a stand. Let it fill an awkward corner of your room. 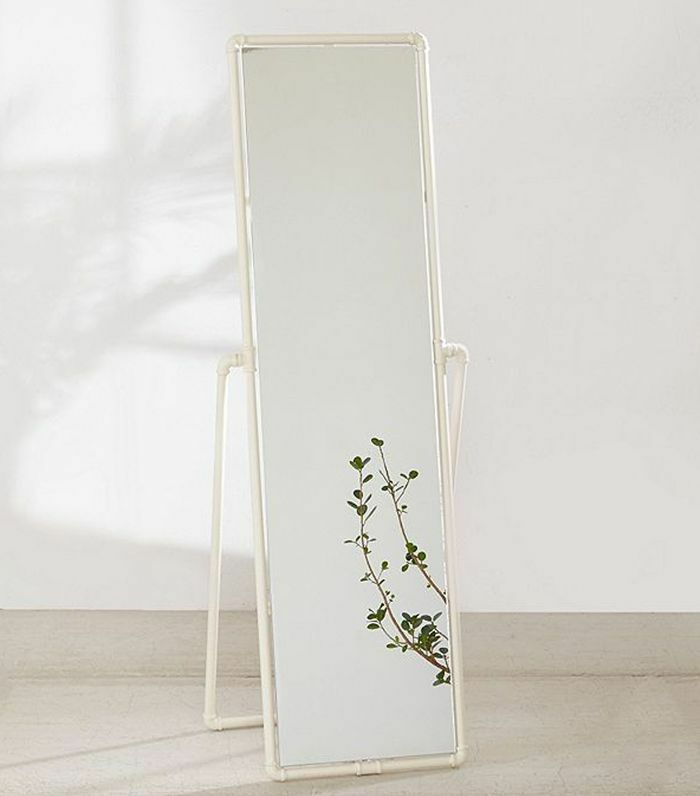 This clean-lined standing mirror comes in three finishes and would be perfect to fill an empty corner in a minimalist's apartment.